Belly Dance is power, femininity, and energy! The Belly Dance classes with Sarah Safi Harb are all about energy and having fun! In the lessons, you learn basic Belly dance techniques, postures, movements, and combinations. In addition, you learn some fun & simple Belly Dance choreographies. Sarah likes to mix different dance styles, such as Lebanese Belly Dance, Latin, and African dance moves, to create unique choreographies. 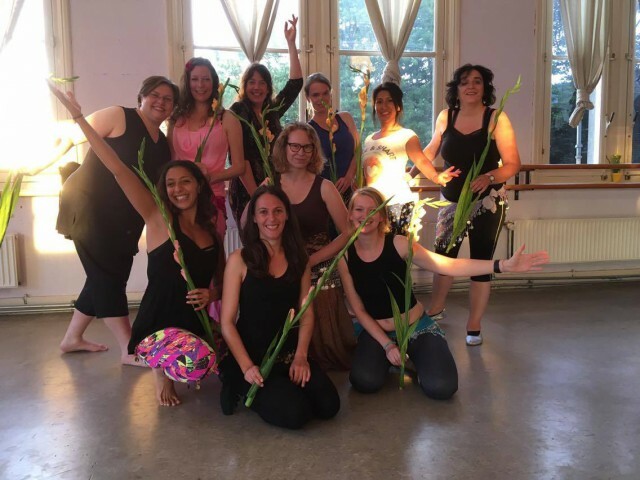 There are 4 Belly Dance classes given per week at De Grote Pyr in The Hague. Bellydancing is a source of femininity, power, and inspiration. It’s a dance dedicated to yourself and enables you to enjoy all aspects of your femininity: Your power, softness, sensuality, energy, passion, sensitivity, creativity, etc.. Belly dancing is a dance that has been practiced by women in the Middle-East for centuries to have fun, express themselves and stay in great shape. It’s truly a dance for women of all shapes, sizes & ages! These lessons are suitable for dancers with little or much experience with Bellydancing. In the lessons, you learn more Belly dance techniques and combinations. You also learn fun Belly Dance choreographies to further finetune your technique. In addition, we always start our classes with some mindfulness exercises focused on femininity, relaxation, and self-embrace. These lessons are suitable for dancers with no, little or much experience with Bellydancing. 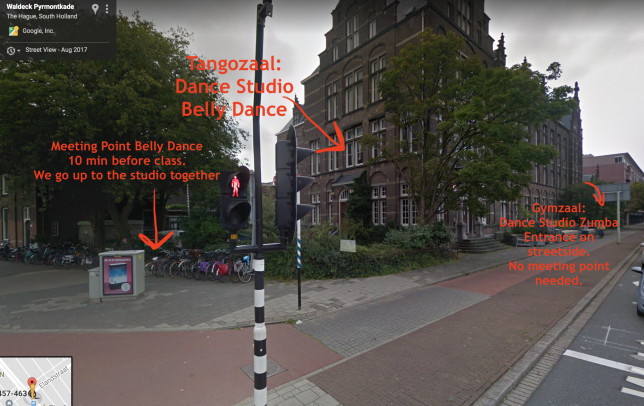 A kind of “Zumba meets Belly Dance” lesson. The focus is less on technique and more on shaking, dancing and training the Belly muscles. These lessons are suitable for beginners. In the lessons, you learn basic Belly dance techniques, postures, movements, and combinations. You learn some fun & simple Belly Dance choreographies. In addition, we always start our classes with some mindfulness exercises focused on femininity, relaxation, and self-embrace. Waldeck Pyrmontkade 116, 2518JR, The Hague. P.S. WE GATHER AT THIS CORNER AND GO UPSTAIRS TOGETHER 10 MINUTES BEFORE CLASS, PLEASE BE ON TIME!! 1. Buy your lesson package in the SHOP. 2. Book your lesson in the CALENDAR. TA DA! You can already book all the lessons of your package in the CALENDAR. If you can’t make it to a class last minute then you can easily sign off and reschedule your lesson for another moment within the same period. Wear something you feel pretty and comfortable in. Shoes: bare feet, socks or soft ballet shoes are ok.
Scarf for the hips: If you have one bring it with you, if not I have some at the studio you could borrow or buy. Do you prefer to learn privately? That’s possible! Learn more. Looking forward to dancing with you!